In 1904 Henry Barrow and wife Augusta settled in Odessa. 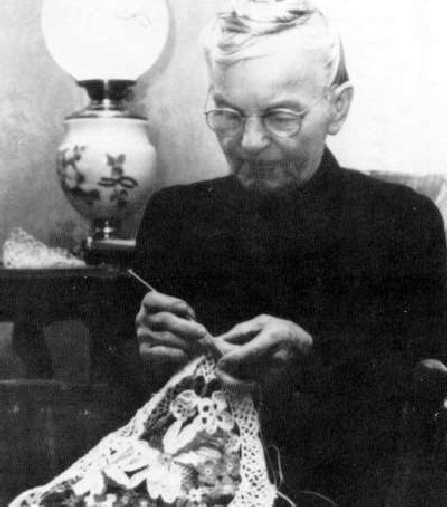 Here you see Augusta Barrow doing needle work just like my mother did. The Barrows arrived in Odessa driving a buckboard and had a little cash, a Winchester rifle, and a few cartridges. Later they built a house made from railroad ties purchased from the Texas & Pacific Railroad. Courtesy, Author Glenn Justice & The Petroleum Museum.